Quick and easy control over AirPlay and other audio devices. 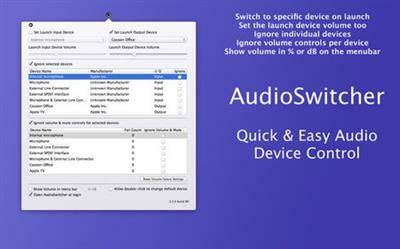 AudioSwitcher is a menu bar that allows you to switch quickly between all available input and output devices. In addition you can change the volume of any device without having to change your current input / output. You can quickly change the sample rate or output to multiple devices at the same time.